Nattosoup Studio Art and Process Blog: Help Support This Blog! It takes a lot of money to keep this blog updated consistently with fresh content! I currently do not have any ongoing sponsorships or longterm donors, so if you like what I do and want to help me keep doing it, you should consider showing your support through commission, donation, promotion, or sponsorship! 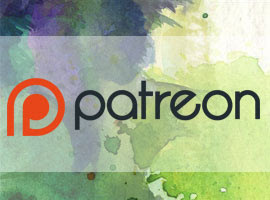 I have a Patreon set up to help support this blog as well as the connected YouTube channel, so that's another fantastic way to show your support. By backing the Patreon, not only help me to continue to the great, free to the public, content I'm currently producing, but will be able to unlock even more fantastic content. Your support enables me to earn a living doing what I love, and justifies the massive amount of time spent creating new content for the blog and the YouTube. Backers will have the majority voice in the materials I review, the tutorials I produce, and will even get a vote in what I draw for product tests, so there's plenty of incentive to become a backer and join the Nattosoup community. Interested in collaborating? There's a lot of ways we can work together, and I'd love to explore them! Send me an email, and we can explore the possibilities together! I am most interested in collaborating with other art/craft bloggers and YouTubers, for the benefit of both parties. There's always room for improvement, so if there's an element you feel this blog is missing, please let me know, and I'll try to add it if feasible. For more information about me, Becca Hillburn, please check out my Info tab. I am also a founder and contributor on the convention blog How to Be a Con Artist, which focuses on helping people prepare for selling their art and comics at conventions. I am currently most interested in blog sponsorships and company partnerships, as it would help offset some of the numerous costs of running, updating, and promoting this blog. My content is currently entirely free, although I do have ads placed to help offset costs. These ads do not contribute much financially (pennies a month), so if having Google ads is a dealbreaker for your sponsorship, please let me know, and we can discuss removal. Please note that I am not interested in 'free' supplies- I would like to work on mutually beneficial partnerships that send highly interested customers your way, while rewarding me for my education, research, and efforts. I feel sponsorships and partnerships would help increase how this blog is regarded amongst other artists and bloggers, and I am interested in providing useful, relevant content to your company and potential customers while building my own career and earning a living doing what I love. If you are not a company but a reader interested in helping out, please contact my favorite companies on my behalf, and let them know how much you like my content! You can find contact links below, and please don't assume other readers will write in. I'm counting on each and every one of you for help. Contacting a company costs you nothing but time, and it shows companies that readers enjoy my content and take my recommendations seriously. All of the 'website' links are on site forms, so they're very easy to fill out. Sending them a link to a relevant review or tutorial, along with a few lines like why you enjoyed the link, or how the review convinced you to try the product, will really go a long way. Depending on your location and the time of year, I am available for in-person speaking engagements or Skype/Google Hangouts speaking engagements. I'm qualified (MFA from SCAD: University of Creative Careers in Sequential Art) to speak on a number of illustration and comic-craft related topics, and you can even check out a few of my live performances on my Youtube channel. I have worked with kids K-undergrad, but my favorite kids to work with are preteens-20's. I can do all sorts of illustration, and have worked with a wide variety of customers! You can see more on my convention portfolio, or my Behance. While you can purchase commissions through my website, I prefer that you email me first for a customized quote. Do you make a product I just adore? I'll happily take your money to sing my honest praises, introducing your product to my highly focused audience. I'll also happily take your money to point out your products flaws and shortcomings, so be aware that products sent to me will be reviewed honestly. If you're interested in sponsoring a post, or donating items for review, please keep a few things in mind. Please email me ahead of time to make sure the items you are sending are items I CAN review for this blog. A good way to check is to skim my Amazon, Jetpens, and DickBlick wishlists. If the item is on that list, I do not own it, and I would love to review it. I focus on art supplies (all ranges, from student to professional grades), certain crafting supplies, and stationary. I am also interested in reviewing merchandising companies for the purposes of making product for online shops and conventions. Although I promise to review your product, I make my living doing conventions, drawing comics, selling 7" Kara, and doing freelance. If you would like a review written by a certain date, let me know when pitching the review, and I will accommodate your request within reason. I only write honest reviews, regardless of what you have donated. If I don't like a product, I will say so. If I love a product, I will say so as well. My audience trusts me to be as honest as possible, and I will not break that trust. You can also sponsor a custom tutorial for your product, email me for a quote! The tutorial will be run on this blog, and you are welcome to run it anywhere else you see fit, so long as you give me credit. If you would prefer a video tutorial, that is possible as well. Sponsored reviews will be free of affiliate links, or links to sources other than your shop/company, unless you request otherwise. Should I decide to write follow up posts at a later date (on my own dime and time) outside links and affiliate links are at my discretion. 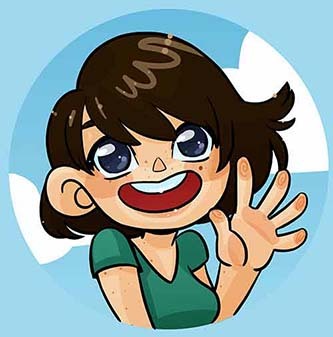 I will only write guest pieces for blogs that are relevant to my career (children's illustration/comics) or to my passions (art education for kids, art education for adult, honest art supply reviews, convention related topics). Please email me with what you have in mind, and I can give you a quote. If guest post involves materials I do not own, your quote will be higher. You can get an idea for what I own by searching my blog for the product you have in mind, or by asking me when you email. My sidebar features two adspaces- free bottom of the sidebar space for artists and writers, and paid top of sidebar space for artists, writers, shops, and companies. 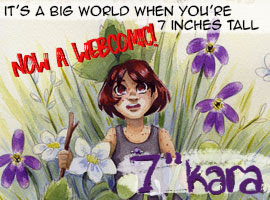 If you are a comic artist, or art supply blogger who is interested in sidebar space, please send me an email with a link to your content, and submit a 220 pixel by 110 pixel ad (see my sidebar for examples). Free ads are towards the bottom of my sidebar and tend to remain stationary. 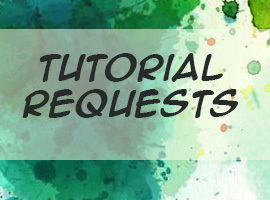 Links must update regularly (at least once every two weeks) with content that is either comic focused (webcomics or comic craft), or geared towards helping others. If you would like to purchase a 1 month ad at the top of my sidebar, please contact me for a quote. Paid top of sidebar ads are open to companies and shops as well. PSA: You Are an Artist!